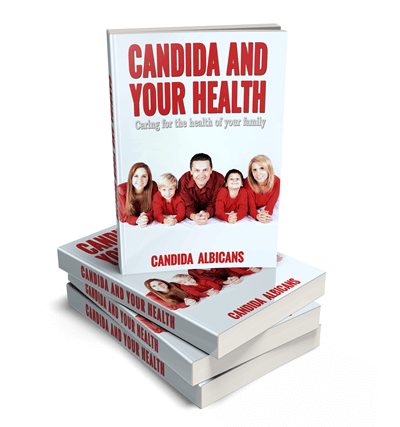 A Candida albicans overgrowth can affect anyone – men, women and children. 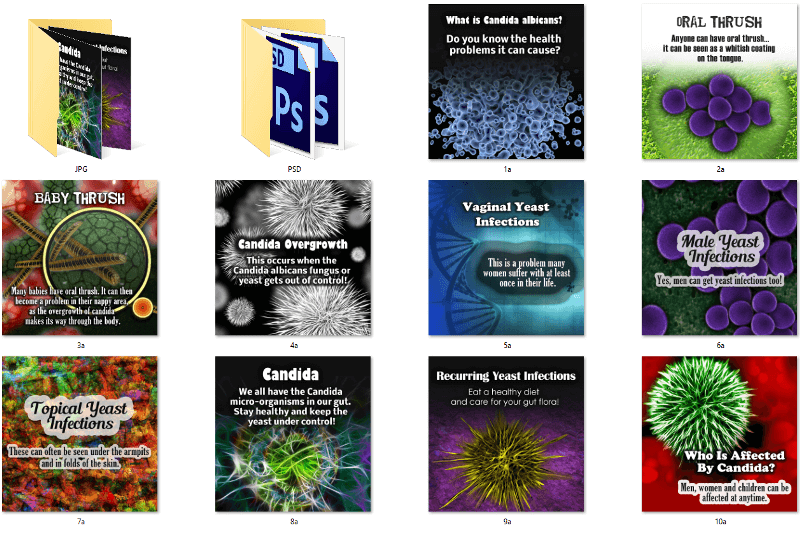 This Candida albicans PLR package covers: the causes, the symptoms and natural treatments for overcoming a candida problem. Women quite often experience vaginal yeast infections, men can develop genital infections and topical yeast infections, and babies usually show signs of oral thrush and/or diaper thrush…commonly known as baby thrush. However, anyone can have oral thrush, topical thrush and other problems associated with a Candida albicans overgrowth. Report – Fully formatted and ready to go! Editable Word and PDF files. Report includes – disclaimer, introduction, conclusion and is fully illustrated. Report eCover Graphics – In 4 different formats with PNG and JPG files, plus PSD file. Full-Size Infographic – Specially designed to create 3 individual mini-infographics, giving you a total of 4 infographics! A great package at a small price! This report is 3,355 words, 18 pages long. It includes a disclaimer, introduction and conclusion. Plus, it is fully formatted, and includes commercial use, royalty free images. We’ve also created the ecover graphics for you and included the PSD file. They come in the formats you see below! You need these to share on the social media sites or to use in your blog posts. Don’t they look great? I’d share one of these! 🙂 You’ll receive them in JPG and PNG formats, plus the editable PSD files. This super-sized infographic measures 800 x 3,710px. It’s been crafted in such a way that another 3 smaller ‘mini-infographics have been created. However, they are not small! This package is high quality from start to finish and you won’t be disappointed! It comes with a ‘Private Label Rights’ license so you can use and edit as your own.